Get ready to be cautiously optimistic, DC fans, because Warner Bros. has just released a brand new trailer for Justice League. Audiences were very divided over Batman V. Superman, but the hope is that they can unite and love this movie as director Zack Snyder is uniting the seven (or at least 6 this time around) for the first time ever on the big screen. We now have our best look yet at what a live-action Justice League movie is going to be. This new trailer has been a long time coming but it was finally confirmed by director Zack Snyder on Twitter just a couple of days ago. Then Warner Bros. started releasing trailer teases for each individual Justice League character to hype this thing up as much as possible. That brings us to now. The trailer is here and with still nearly eight months to wait, we get to see Batman getting the gang together to fight an evil presumably greater than that of Doomsday, who was capable of killing Superman. Here is the official synopsis for Justice League. "Fueled by his restored faith in humanity and inspired by Superman's selfless act, Bruce Wayne enlists the help of his newfound ally, Diana Prince, to face an even greater enemy. Together, Batman and Wonder Woman work quickly to find and recruit a team of metahumans to stand against this newly awakened threat. But despite the formation of this unprecedented league of heroes-Batman, Wonder Woman, Aquaman, Cyborg and The Flash-it may already be too late to save the planet from an assault of catastrophic proportions." Prior to this new trailer, Warner Bros. had released a trailer of sorts at San Diego Comic-Con over the summer. They even mentioned that the footage was put together as a "special look" for fans at the event, even though it was released online immediately for the world to see. The response to that footage was overwhelmingly positive, but it was made clear they just wanted to show something to fans at Comic-Con and also wanted to gain some good favor. Zack Snyder also released an action-packed behind the scenes video once filming wrapped in the U.K. But in a way, this is the first real deal trailer we have seen for Justice League. 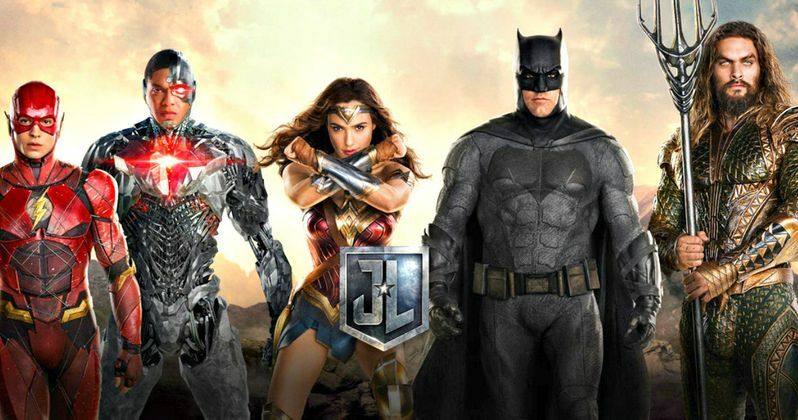 Justice League is bringing back Ben Affleck as Batman, Henry Cavill as Superman and Gal Gadot as Wonder Woman, as well as Ezra Miller as The Flash, Jason Momoa as Aquaman and Ray Fisher as Cyborg, who had brief cameos in Batman V. Superman: Dawn of Justice. They will be joined by Amy Adams, Jeremy Irons, Amber Heard, Diane Lane, J.K. Simmons, Willem Dafoe and Ciaran Hinds as the big bad Steppenwolf. Chris Terrio, who wrote Batman V. Superman, also returned to write the script for Justice League. The movies that Warner Bros. have released as part of the DC Extended Universe so far have made money at the box office but have failed to land with critics and have divided fans. Can Justice League finally break Zack Snyder's divisive streak and be the movie we all hope he can make? We will have to wait and see. For now, you can check out the new Justice League trailer for yourself below, which is set to arrive in theaters on November 17.